If you've been waiting for the perfect time to purchase a new laptop, you may want ot grab your credit card now. 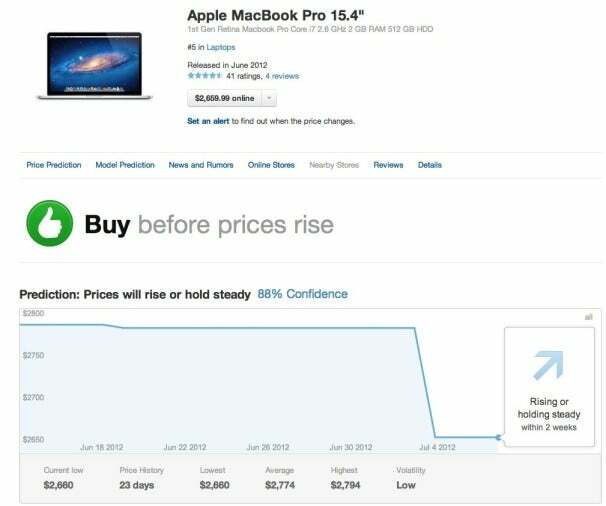 Price-predicting service Decide.com says late June to mid-July is one of the best times of the year to get the best deal on a new notebook. 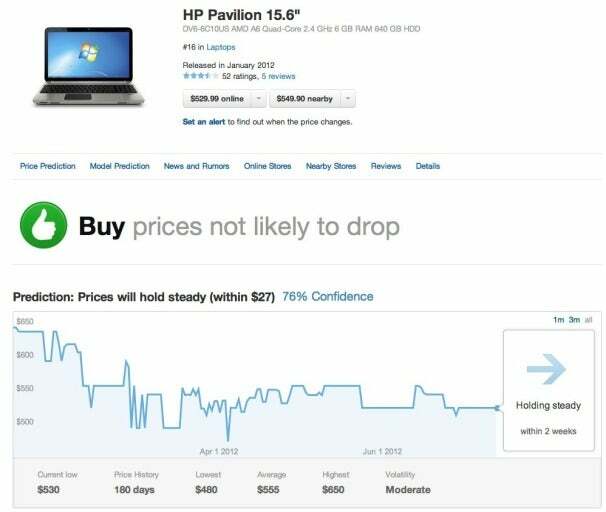 Decide.com is a service that analyzes current and past prices of over 3600 laptops to determine when consumers should buy. According to Decide.com, we're currently in a cycle during which a ton of new and updated laptops are introduced, and so prices are falling. The service finds that consumers who buy now will save around 10 percent on new laptops, a reduction that translates to about $240 for high-end notebooks or $100 for lower-end laptops. Of the 3453 laptops in Decide's database, 2256 (65 percent) are at or near record lows in pricing. Decide.com recommends users "buy now before prices rise." These cheap(er) laptops include the recently-introduced Retina MacBook Pro (currently $2660 or $134 cheaper from its high of $2794), the Asus G75VW gaming laptop ($1650 or $89 cheaper than its $1739 high), and the HP Pavilion dv6 ($530 or $120 cheaper than its $650 high). Sounds pretty good, right? But wait--though there are great laptop deals to be had now, there are a few reasons you may want to wait until later in the year to pull the trigger. Laptops designed for Windows 8 should be arriving in the fall, including ones with touchscreens that take advantage of the upcoming OS's new interface. The winter holiday season also tends to offer larger price drops (laptop prices dipped to an all-time low of almost $400 last November, according to NPD/Laptop). Decide.com's analysis suggests that, if you can wait, you'll find two other ideal times to buy laptops: the second half of September (because of back-to-school clearance sales) and the last two weeks of December (for the holiday sales). All that said, the actual best time to buy a new laptop is when you really need one. If that time happens to be now, you can save quite a bit.